Meteorology isn't the study of "meteors," but it is the study of metéōros, Greek for "things in the air." These "things" include phenomena that are bound by the atmosphere: temperature, air pressure, water vapor, as well as how they all interact and change over time -- which we collectively call "weather." Not only does meteorology look at how the atmosphere behaves, it also deals with the chemistry of the atmosphere (the gases and particles in it), the physics of the atmosphere (its fluid motion and the forces that act upon it), and weather forecasting. Meteorology is a physical science -- a branch of natural science that tries to explain and predict nature's behavior based on empirical evidence, or observation. A person who studies or practices meteorology professionally is known as a meteorologist. Ever hear the term "atmospheric sciences" used instead of "meteorology"? 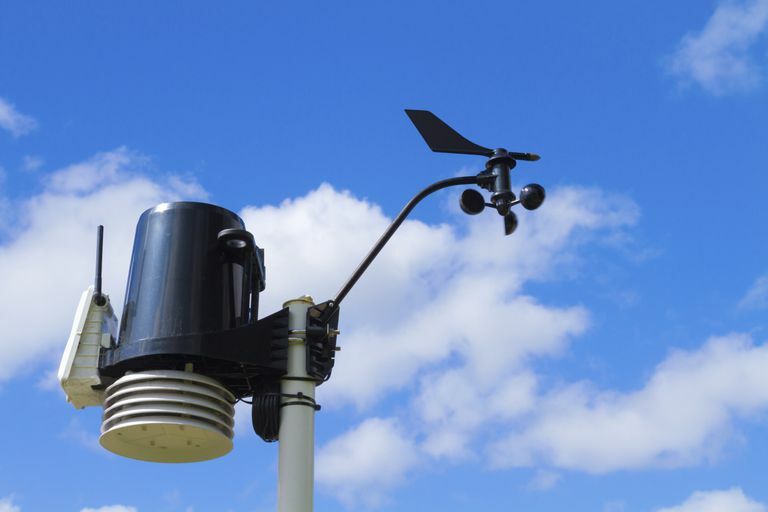 Atmospheric sciences is an umbrella term for the study of the atmosphere, its processes, and its interactions with the Earth's hydrosphere (water), lithosphere (earth), and biosphere (all living things). Meteorology is one sub-field of atmospheric science. Climatology, the study of atmospheric changes that define climates over time, is another. The beginnings of meteorology can be traced back to the year 350 BC when Aristotle (yes, the Greek philosopher) discussed his thoughts and scientific observations on weather phenomenon and water evaporation in his work Meteorologica. (Because his weather writings are among the earliest known to exist, he is credited with founding meteorology.) But although studies in the field stretch back millennia, significant progress in understanding and predicting weather didn't happen until the invention of instruments like the barometer and thermometer, as well as the spread of weather observing on ships and in the 18th, 19th, and late 20th centuries AD. The meteorology we know today, came later still with the development of the computer in the late 20th century. It wasn't until the invention of sophisticated computer programs and numerical weather prediction (which was envisioned by Vilhelm Bjerknes, who is considered the father of modern meteorology) that. From weather websites to weather apps, it's hard to not imagine weather at our fingertips. But while people have always depended on the weather, it hasn't always been as easily accessible as it is today. One event that helped catapult weather into the limelight was the creation of The Weather Channel, a television channel launched in 1982 whose entire programming schedule was devoted to in-studio forecast programs and local weather forecasts (Local on the 8s). Several weather disaster films, including Twister (1996), The Ice Storm (1997), and Hard Rain (1998) also led to a boom in weather interest beyond daily forecasts. Meteorology isn't the stuff of dusty books and classrooms. It affects our comfort, travel, social plans, and even our safety -- everyday. It's not only important to pay attention to the weather and weather alerts to keep safe on a daily basis. With the threat of extreme weather and climate change threatening our global community now more than ever, it is important to know what is and what's not. While all jobs are affected by the weather in some manner, few jobs outside of the weather sciences require formal weather knowledge or training. Pilots and those in aviation, oceanographers, emergency management officials are name a few. What Do Meteorologists Really Do? What's Studied in Physical Geography? How Does Air Pressure Affect the Weather? Does Weather Come in Sizes?